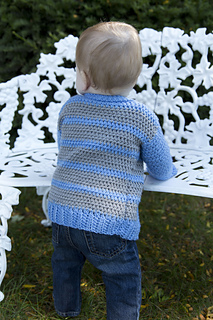 This sweater is one for boys and girls alike. You can make it in multiple colors, or as little as two. 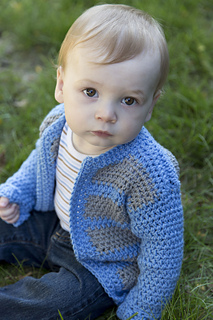 Pattern includes instructions for a button-up or zipper front, but you can also leave it as an open front cardi. This pattern comes in matching Leggings, Hat, and Mittens. 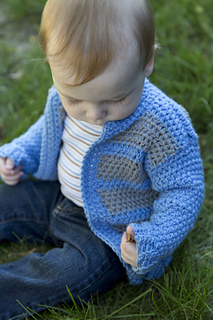 This cardigan is also available in Child sizes!